Kindred Single UM 20 Ga sink - 11" X 13-3/8" X 6"
Small, single bowl undermount 20 gauge sink. Ideal second sink for island hospitality application or filtered water station. Sink features hard wearing satin finished bowl, sparkling mirror finished rim, and included waste fitting. Quality assured with the standard Kindred Limited Lifetime warranty. Single UM 20 Ga sink - 11" X 13-3/8" X 6" Small, single bowl undermount 20 gauge sink. Ideal second sink for island hospitality application or filtered water station. Sink features hard wearing satin finished bowl, sparkling mirror finished rim, and included waste fitting. Quality assured with the standard Kindred Limited Lifetime warranty. 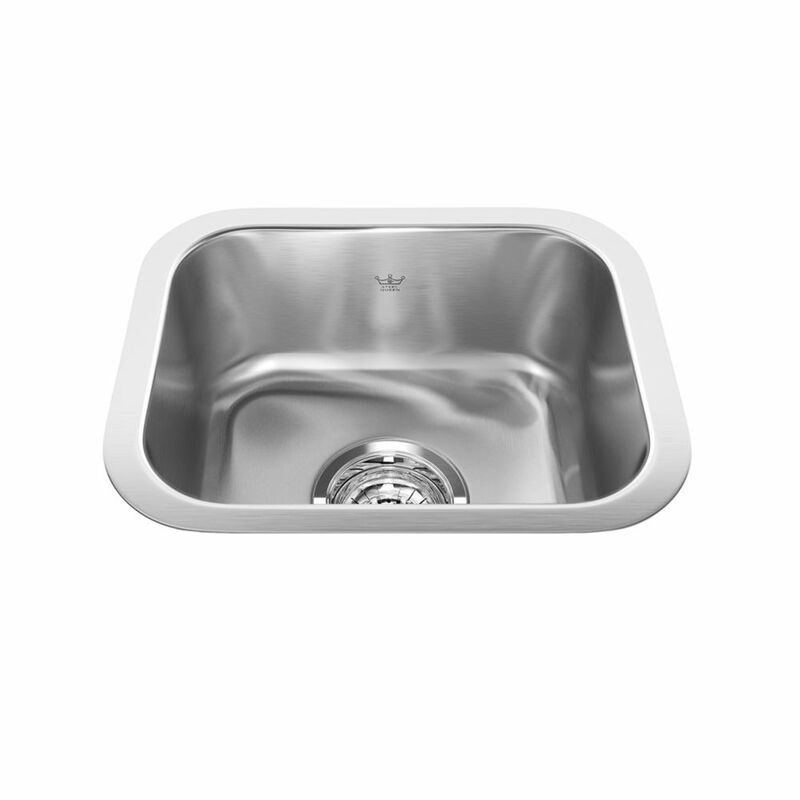 Single UM 20 Ga sink - 11" X 13-3/8" X 6" is rated 4.0 out of 5 by 1.